This was a typical Hasegawa build-fell together with little or no putty. My attempt at a NMF was complicated, time consuming and most likely unnecessary. My intent was to use as much of the Aztec decal sheet, but would have been better off painting the tricolor on the rudder. My heart broke when the Stars and Bars (from the Hasegawa kit) turned out to be translucent. I used them because the fuselage items were already sectioned to fit a pretty funky area, and since a slightly different shade of blue, used them on the wings as well. Next time-paint masks. 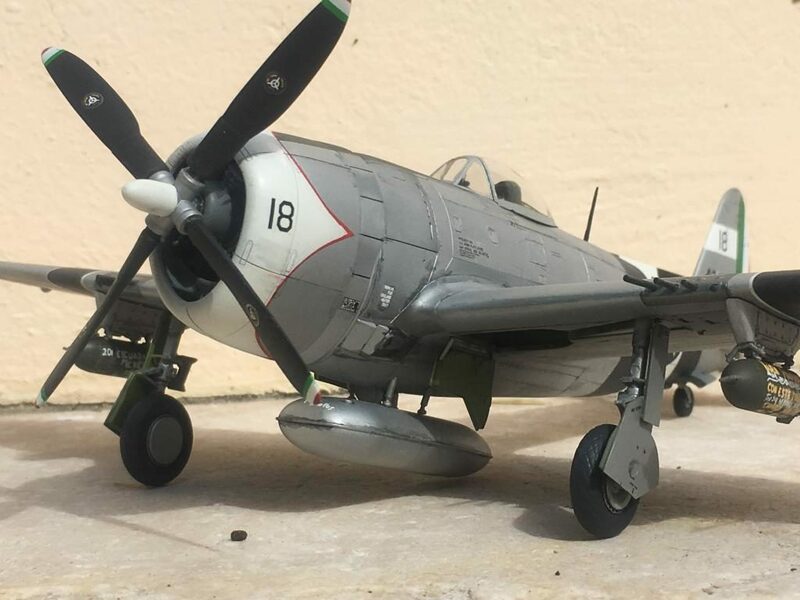 I chose to do a -30 flown by the CO of the 201st Squadron of the Fuerza Area Expeditionario Mexicana, Captain Radames Gaxiola Andrade, Porac, Phillipines, August 1945. Not much for repeating history written about many times by others, I will say that their combat history was brief and colorful. Looks good, Bryan, interesting choice of markings. 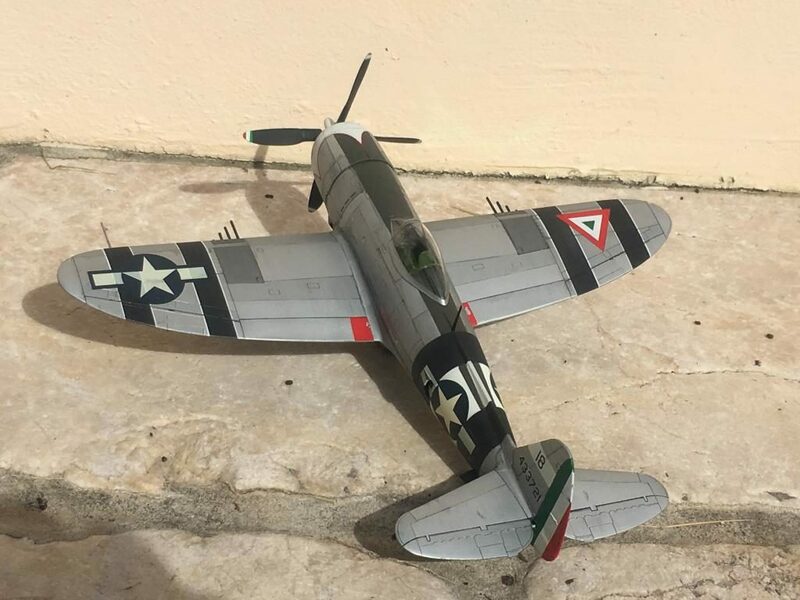 The Museum of Texan Culture in San Antonio had a display going on earlier in the summer dedicated to the Mexican Air Force units serving with the USAAF. Some of their vets attended, it was pretty neat. Markings were provided by a Mexican friend here in Florida. He builds highly detailed, large RC stuff. Good looking THUNDERBOLT! Ha! Betcha thought I was gonna say Jug! Boy, that was close! The Aztec sheet was OK. Interesting, but was missing some of the decals that they indicated should be used. Only drawback was if you soaked them for too long-seemed like 30 seconds difference-the adhesive would go away. I just finished using an Aztec sheet on the Kfir I posted recently. Found the same problem re: adhesives – in fact, as soon as the decal was loose from the backing it seemed the adhesive was gone. I solved the problem by using Humbrol DecalFix – though I went through a learning curve with that also! 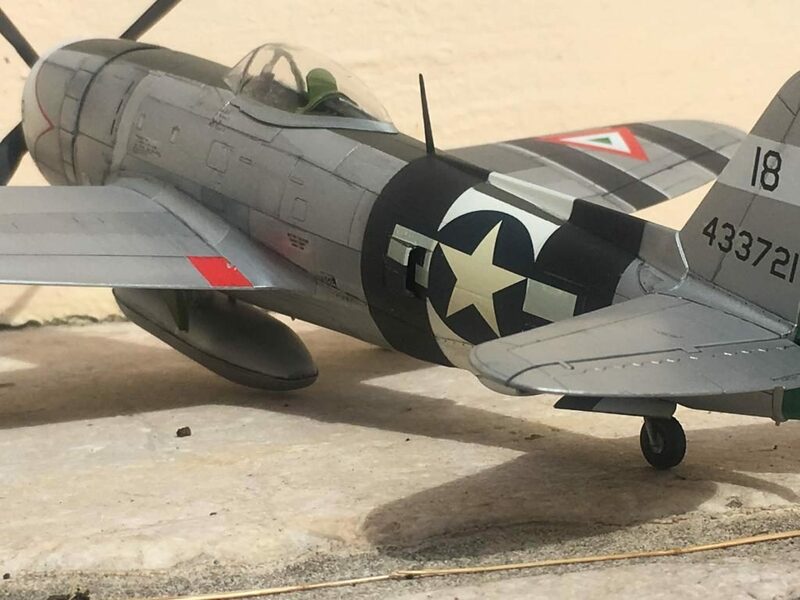 Really nice work there Bryan, on a very distinctive-looking P-47. I like it…it looks good. NMF turned out well, too. You said “…here in Florida..” – where? 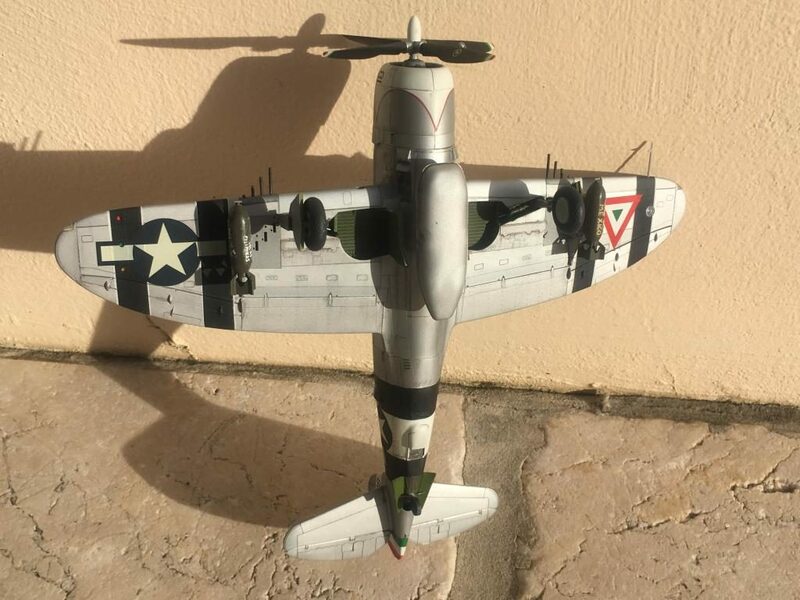 Beautiful build with interesting markings. I had this problem with Hasegawas decals as well, a while ago. Nice NMF shades by the way ! Great looking beast, unusual markings. Great looking ‘Bolt’. As many have stated, you normally don’t see one in Mexican markings too often. I too have experienced problems with Hasegawa decals being translucent. That and their shades of white too often end up looking more pale yellow than white. None the less, your plane looks great. I like the “graffiti” on the ordnance. Looks great, Bryan, I like those Mexican markings very much. 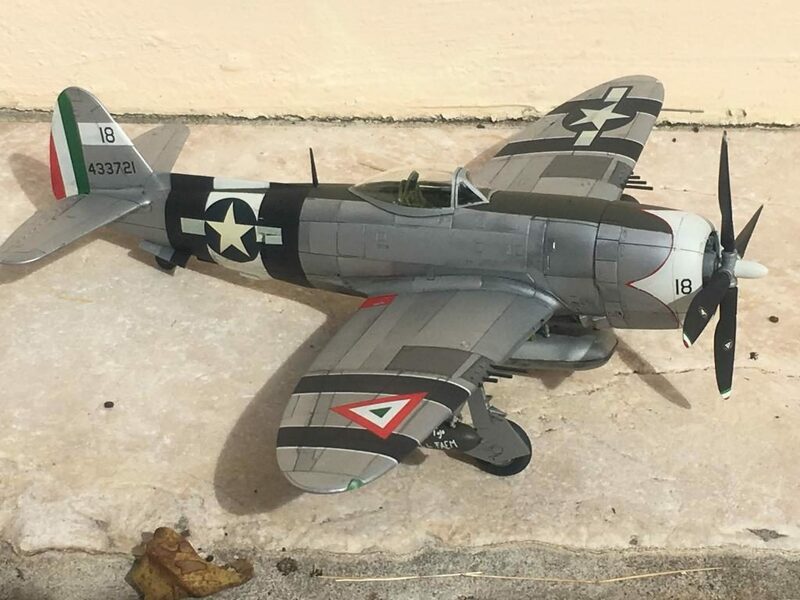 Excellent P-47 and great markings for the Mexican outfit, too! I love that the prop tips are Mexican colored! In your bio you said; “currently build things for people by turning expensive rough lumber into dust, noise and shape.” That gave me a great chuckle! LoL!